Wednesday, December 5, 7:30 p.m. The Denver Concert Band presents “Holiday Faves and Raves”, a concert of seasonal spirit! 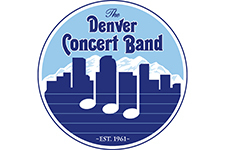 Now in its 58th year, the DCB is proud of its heritage as one of Colorado’s premier community concert bands. Jacinda Bouton leads 85 volunteer musicians from all walks of life who perform throughout the Denver Metro area and Colorado. Child, student and senior discount options are available for this event and can be applied during the checkout process. Please contact the Lakewood Cultural Center at 303.987.7845 if you experience any difficulties.